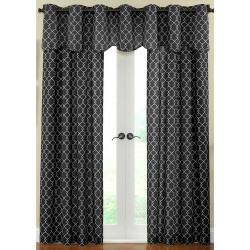 This stylish fabric curtains withÂ stylish print bringsď»ż high style to your windows and compliments any room. 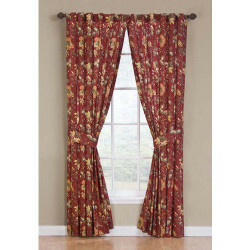 Use multiple panels for wider windows. Pattern creates a traditional look. 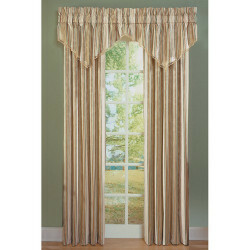 Fretwork pattern in Onyx curtain with natural accents. Curtain panel have brushed nickel grommets. 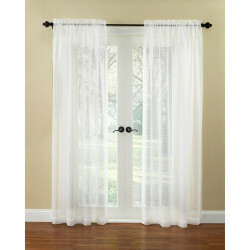 Windowpane Waverly ivory sheer panel. Small windowpane squares on a white background.